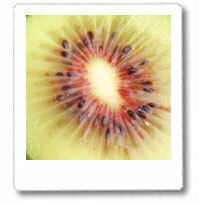 Red Heart Kiwi is the fruit with attractive green skin and deep red colour sunbrust pattern around the core. 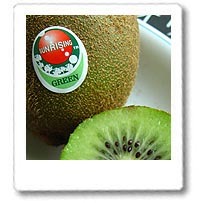 Red-Kiwi rich in nutrients, low acidity, high water soluble fiber, high content of Vitamin C, and Anthocyanins. Anthocyanins are reported to have the anticarcinogenic action and help to prevent the growth of tumor cells. Anthocyanins have strong antioxidant activities which can help in anti-aging and preventing cardio-vascular diseases. 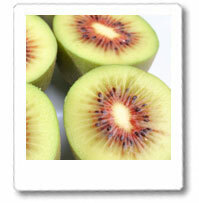 Besides, the high water soluble fiber helps to prevent digestive system disease and constipation. • Anthocyanins - A kind of natural ingredient which is reported to be anti carcinogenic and help in anti-aging and preventing cardio-vascular diseases. • High content of Vitamin C – Strengthen the immune system. • High water soluble fiber – Good for the digestive system and prevent constipation. 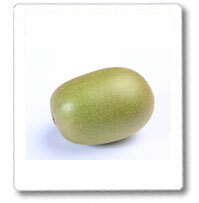 Hayward fruits are fuzzy, brown and oblong in shape. The flesh is tartsweet and tastes like a combination of citrus, melon, and strawberry. 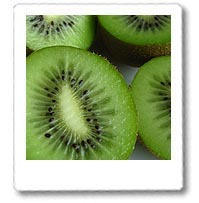 When fruit are cut crosswise the emerald-green flesh has a ring of small black edible seeds. 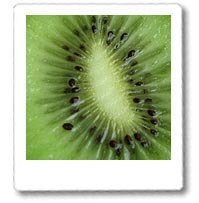 Kiwifruit is richer in Vitamin-C than an orange.